Last week, we all saw that America sure has an unusual loyalty to certain artists including Juicy J (here's looking at you Tennessee) but what about the other end of the spectrum? 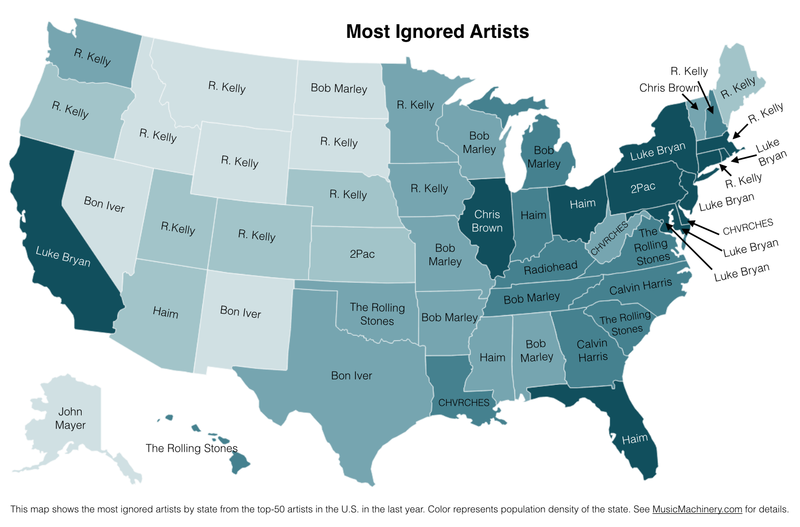 Music blog "Music Machinery" released a graphic using aggregated data from The Echo Nest illustrating which artists are the most forgotten across the United States. So which artists have been left in the dust? See who out of the 12 misfit musicians have been feeling a lack of audio love lately.